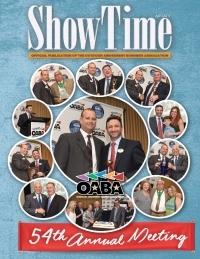 If you are interested in doing business with anyone in the Outdoor Amusement industry, the OABA is the place to advertise. Discounts are available for first-time advertisers as well as for multiple ad placements. Additionally, there are many opportunities to Sponsor OABA programs as a Title Sponsor or participant. Your suggestions for sponsorships and advertising options that would best promote your product or service are always welcome! We can customize an advertising program that is perfect for your business.